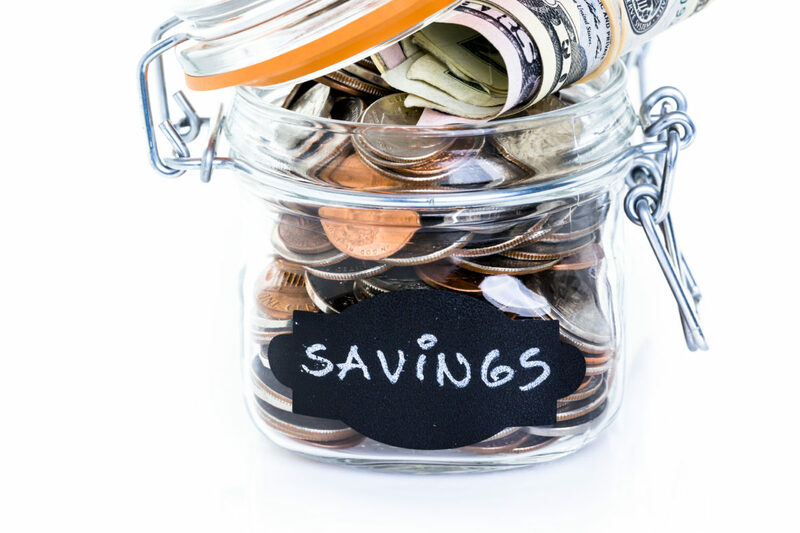 This is a great guest post by divorce attorney, Michael Romano, who lists several ways on how to save money in divorce. One of the primary reasons that parties to a divorce avoid hiring an attorney is that they fear the expense. Whenever a professional charges hundreds of dollars an hour, there is concern that the cost of using that professional will be greater than the value of the service. However, if you carefully select your attorney and make efficient use of their skills, you’ll likely find that they pay for themselves by getting you a better settlement. So how can you make the most of your attorney? Below are some suggestions. In a no-fault state, it is legally meaningless and pointless to focus on who caused the divorce, who cheated on who, who wronged who, and who tried to make things work. You will just be wasting emotional energy. Stay focused. Once either party has come to the belief that there are “irreconcilable differences” between the parties and that the marriage must be dissolved, the case will end in a divorce unless the parties reconcile and dismiss the divorce case. Therefore, it is critically important that you stay focused on getting through the practical and legal requirements of the divorce. You won’t “win” or score any extra points for being the more noble of the parties. Attorneys spend a tremendous amount of time keeping clients on-track and on-task. There is tremendous waste and inefficiency in having an attorney– at hundreds of dollars per hour– following up on missing, confusing, or disorganized paperwork or records. Simply organizing all of your materials into some indexed pattern can save your attorney a great deal of time when he or she sits down to take a look at it– or have an assistant scan or copy it for the opposing counsel or the Court. If your attorney doesn’t give you an accordion binder or USB drive to store all your materials on, get one. Some attorneys still prefer telephone calls and paper files. Others have gone all digital and “paperless”. You may have your preferences as well. However, if you are working with a given attorney, it will likely save you time and money to adopt the system they are using. Clients who refuse to use email, cannot send or receive text messages, or who don’t regularly check their voicemail may be at a disadvantage in terms of receiving prompt and timely communication about updates on their case. Similarly, clients who require that everything be paper-printed and mailed to them via the postal service will be at a severe disadvantage in today’s fast-paced legal world. With many clients today using their cell phones for everything, some clients either don’t have a computer at all or rarely use it. There will be times that it may be very important to use a computer with a larger screen and keyboard in order to conduct more business than a phone can easily provide. The worst time to change your mailing address, cell phone number, and email address is in the middle of the divorce. Many clients also decide to informally change their name in the middle of a divorce case and start referring to themselves by another preferred name. This can create confusion for the attorneys and Court. If you can avoid changing these things– or at least inform your attorney before you do so– your attorney will thank you. While it may not seem like a big deal, changing the manner in which you communicate with your attorney while in the middle of an open case can waste time and money. Also related: keep your voice mail box open so that it can receive messages, and make sure your announcement is clear. A good attorney knows the law and can help clients through the legal process. However, attorneys cannot be everywhere at once. They typically have several cases open at once, they cannot be on their desk phone and mobile phone at the same time, and they sometimes have a personal life (imagine that). The most common nationwide complaint about attorneys is that their clients can’t get ahold of them when they want them. An interesting trick or paradigm shift is to consider your attorney more like your dentist or doctor. For better or for worse, you typically cannot call your doctor on the phone and speak with them right away. You have to have an appointment– usually in-person. Consider viewing your attorney this way and try to book in-person meetings or telephone conferences at specific times. It will cut down on telephone tag and save you money. If you call your attorney once a day and send him or her two quick emails, you likely could have instead sat down for a full half-hour in-person meeting or a half-hour telephone conference for the same cost. Depending on how your attorney bills (1/10th of an hour vs. 1/6th of an hour), it may be worth your while to pool your questions or issues you want to discuss, for longer appointments rather than handling each issue on it’s own. This can be tough to remember and a difficult discipline to follow, but it really can be very efficient and save you a lot of money. Your attorney is not a priest or rabbi. Your attorney is not a counselor. Your attorney is not friend or family member. Your attorney is not a bookkeeper or CPA. Your divorce will likely take more than just you and your attorney. Build a team of people for practical, financial, and emotional support. Specifically, you do not want to pay your attorney hundreds of dollars an hour just to hear you vent your frustrations. That’s what a glass of wine and your best friend are for. When you share with others that you’re going through a divorce, you will undoubtedly hear many opinions on what you should do. People will tell you about their divorces and what they did. They will tell you what they heard about a celebrity divorce or what they saw on Dr. Phil or Oprah. They will also tell you what they read online. While these people may have the best of intentions, be careful following advice you get from non-lawyers. Every divorce case is different, and the rules and procedures change even from one city or county to another– not to mention across state lines. Just because your friend received $100,000 cash, the house, ten-years of spousal support, and full legal custody in her Florida divorce, doesn’t mean you should expect the same result in an Oregon case. If– in your divorce case– you are constantly trying to pursue circumstances or results you’ve heard about in other cases, you may introduce inefficiencies and confusion in your case because those same circumstances or results may not be possible. Ask your attorney. Your Uncle Tony may be a great uncle with a great sense of right vs. wrong. Your sister may be a financial expert in New York. Your mother may be the most caring mother in the world, and even helping you with the retainer and legal fees. But when you have these people involved in your divorce case– and specifically, communicating with your attorney– you can easily double or triple your legal expenses. This phenomenon typically starts out innocently enough: a family member wants to understand some aspect of your case, and– not being satisfied with your explanation– they want to communicate with your attorney. In another example, the family member wants to communicate with the attorney about how unfair they perceive a situation or how strongly they feel about it. Consider that every time your attorney needs to repeat something to third-parties or communicate with third-parties, they will be billing for that communication. If you want to involve friends or family members (which may or may not even be a good idea), at least consider having them be part of one comprehensive phone conference or meeting rather than having them call with questions later or having you call to get continuous answers to questions that they posed. This is probably the most controversial recommendation because– let’s face it– attorneys are not perfect, and they can make mistakes. But if you’ve selected an attorney you like, an attorney that you believe is knowledgeable and skilled, follow their advice and recommendations. This is what you’re paying them for. By all means, ask questions of your attorney if you don’t understand their advice or the motivations behind a suggested course of action. But, if you spend a great deal of time challenging your attorney, doing something entirely different than what your attorney recommended, or ignoring your attorney’s advice, you will likely be wasting time and money. There is an old joke about how attorneys like it when clients do things on their own and then make mistakes. The attorney not only gets to charge for fixing the problem the client created, but then doing it right and the way it should have been done from the beginning. Michael Romano is a Portland Oregon divorce attorney. He has been in private practice since 2006. Listening to your attorney’s advice and getting in sync with your attorney are very important steps that ultimately could make the difference between winning and losing your divorce. Both steps if followed could also save a client a lot of money because by following both steps the litigation process becomes much smoother.